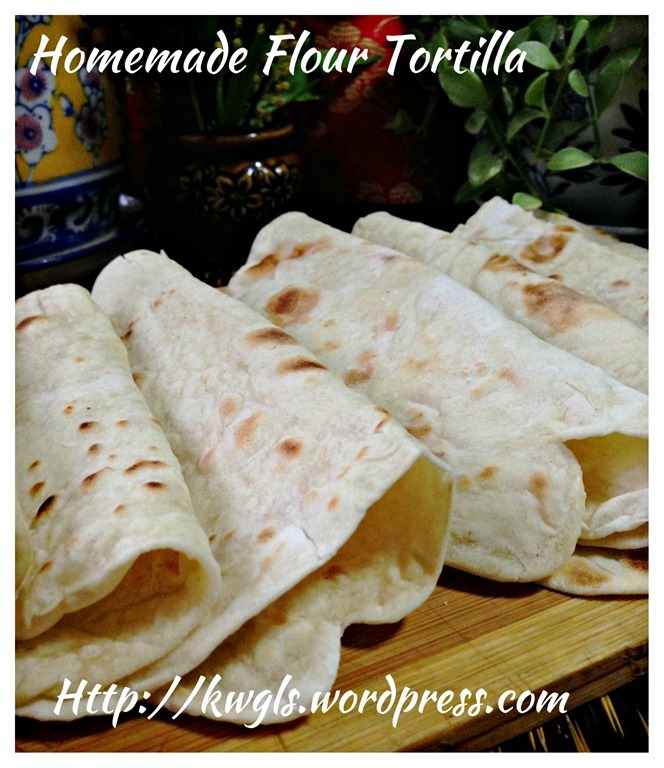 I have some homemade flour tortilla wraps left and I have decided to prepare this snack for kids…. 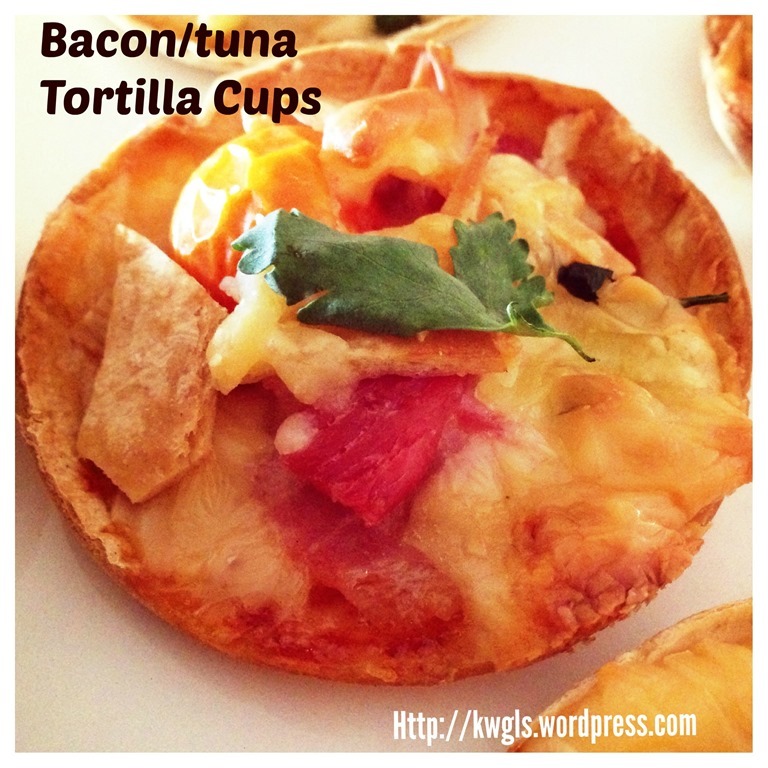 The last attempt shaping in a cups is a hit in my family gathering, however, it is rather time consuming to cut the pizza into round shape as flour tortilla is rather difficult to cut. I have decided to change the shape into a rectangular shape which is much easier.. 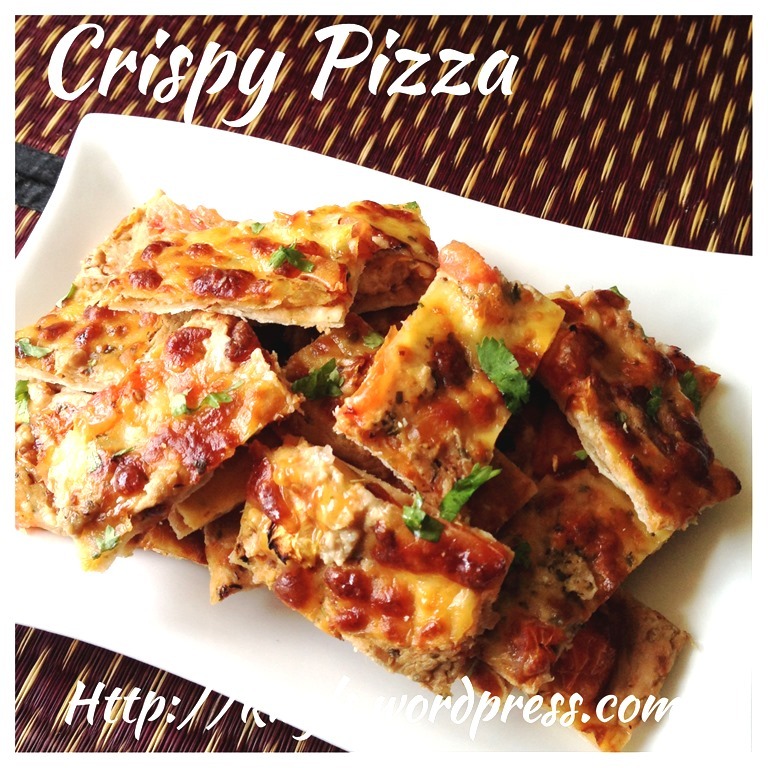 In addition, for those so called crispy pizza recipe, most have opt to use flour tortilla as well.. 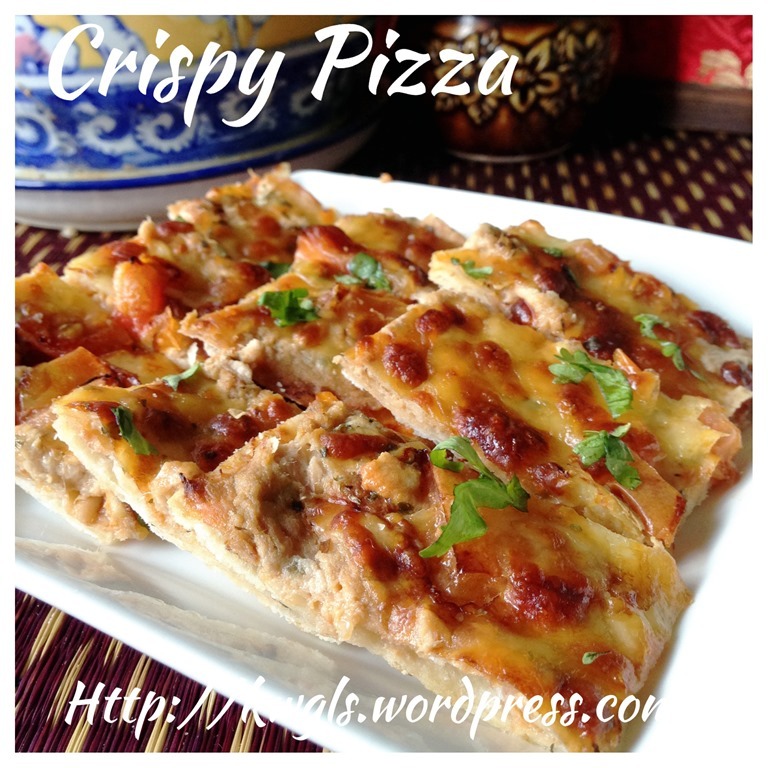 Please scroll down for an updated recipe of how to prepare the crispy tortilla pizza strips. New year eve is approaching. I know that there will be many pot luck parties where readers may be required to contribute a dish or two. 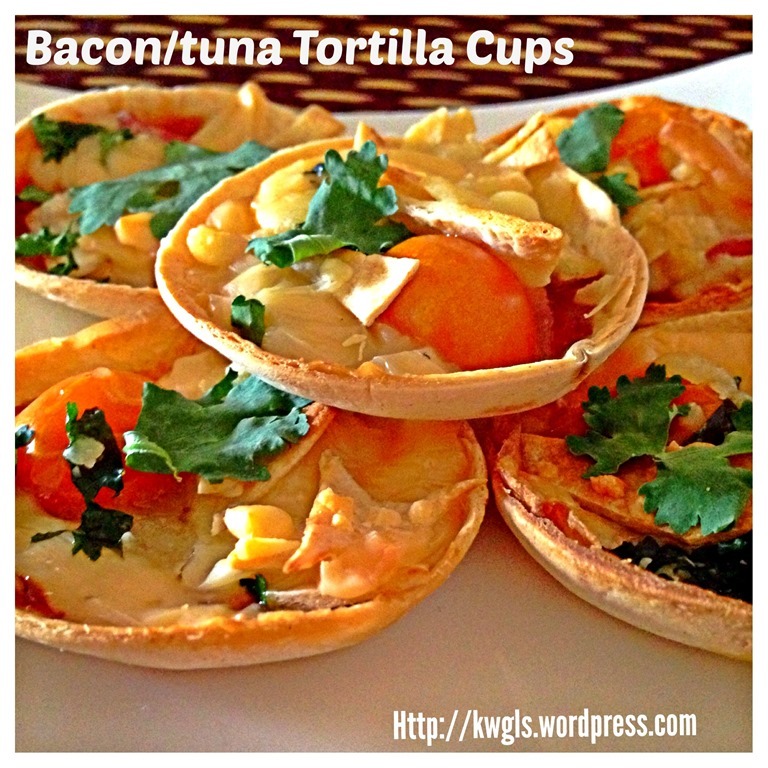 I made these tortilla bacon/tuna cups for one the family gatherings during the Chinese Winter Solstice festivals and it was rather well received. 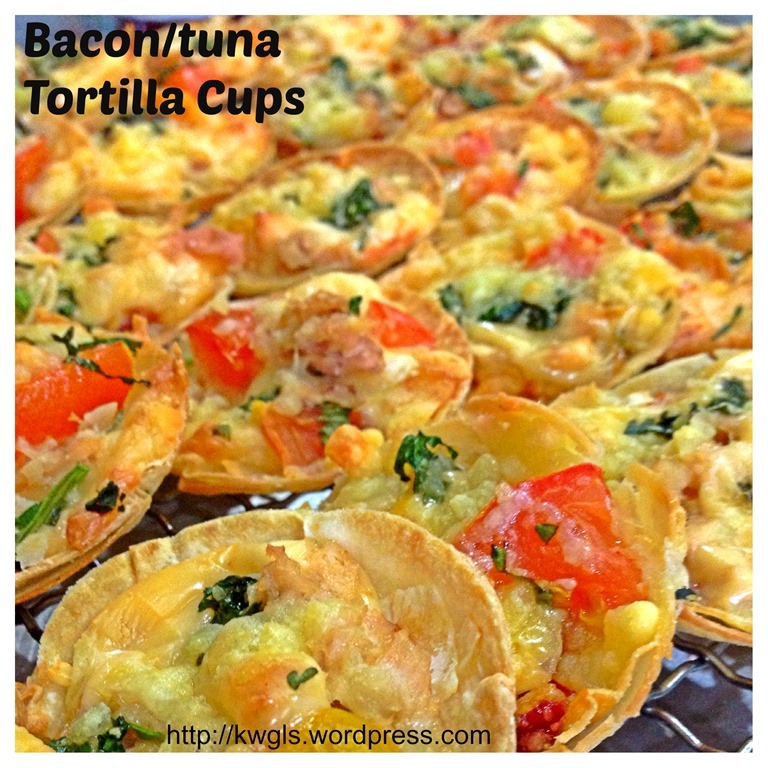 Since kids are still on holiday, you can always asked them to join you to prepare this simple snack. Honestly, it is a simple recipe of my own adventures starting with 2 leftover tortillas in my fridge. 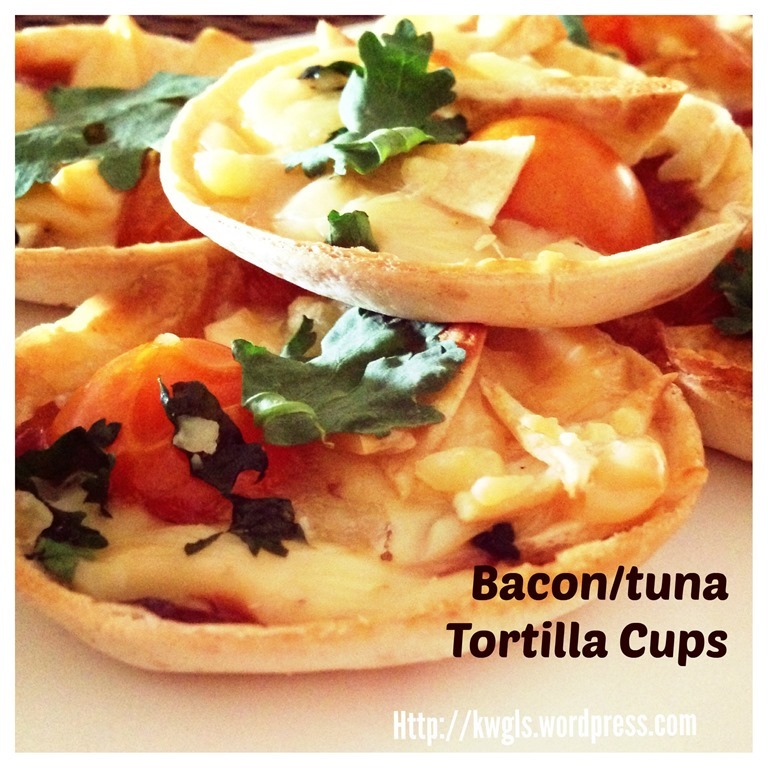 On the day before the gathering, I have used these 2 leftover tortillas to make about 6 tortilla cups with bacon fillings and baked in a mini oven. My family members loved it. 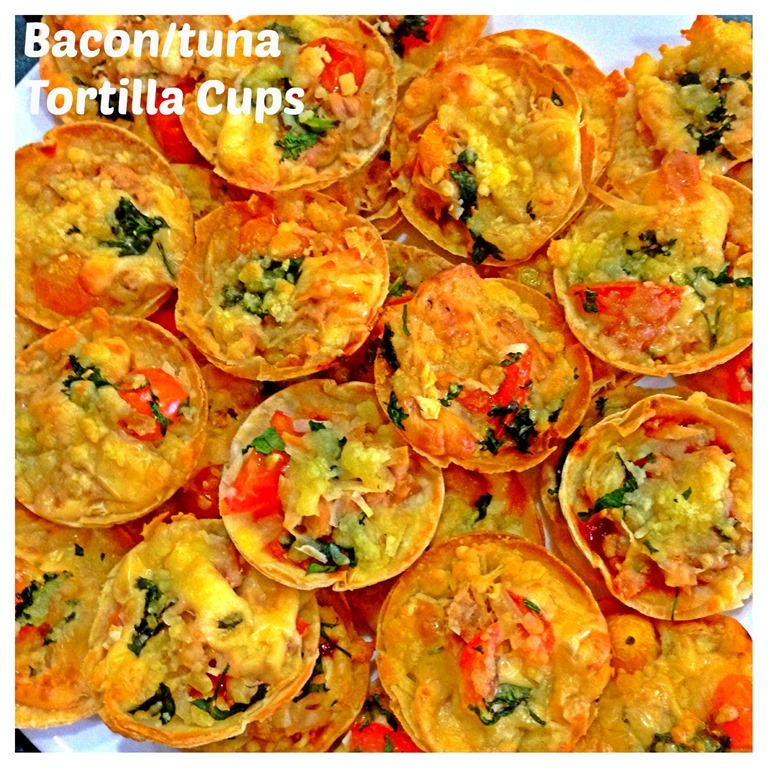 The next day on the day of the gathering, I have prepared more than 50 tortilla cups with tuna fillings, using muffin trays and baked in the conventional oven. 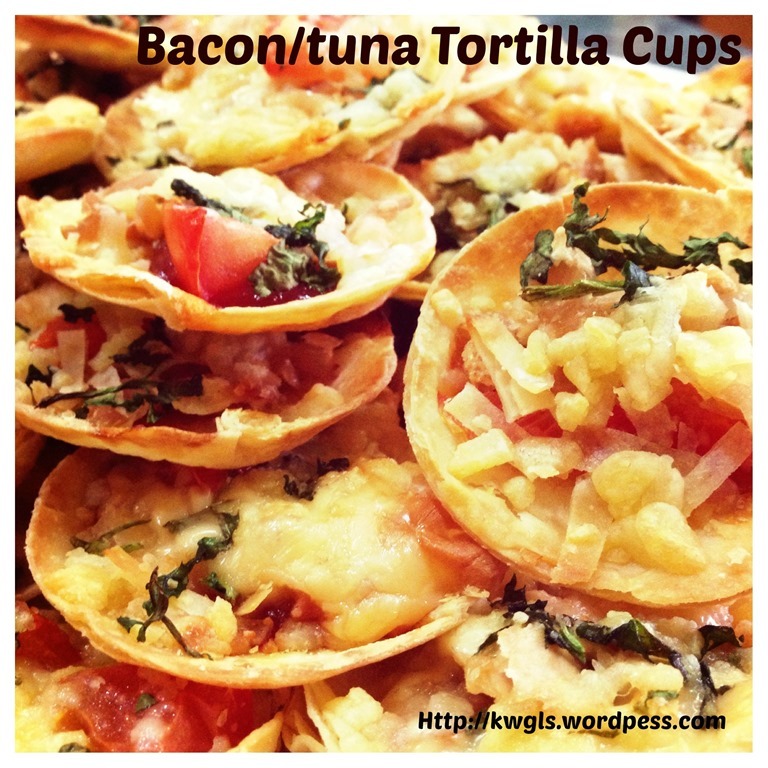 You can use exactly your prefer pizza toppings for this tortilla cups. 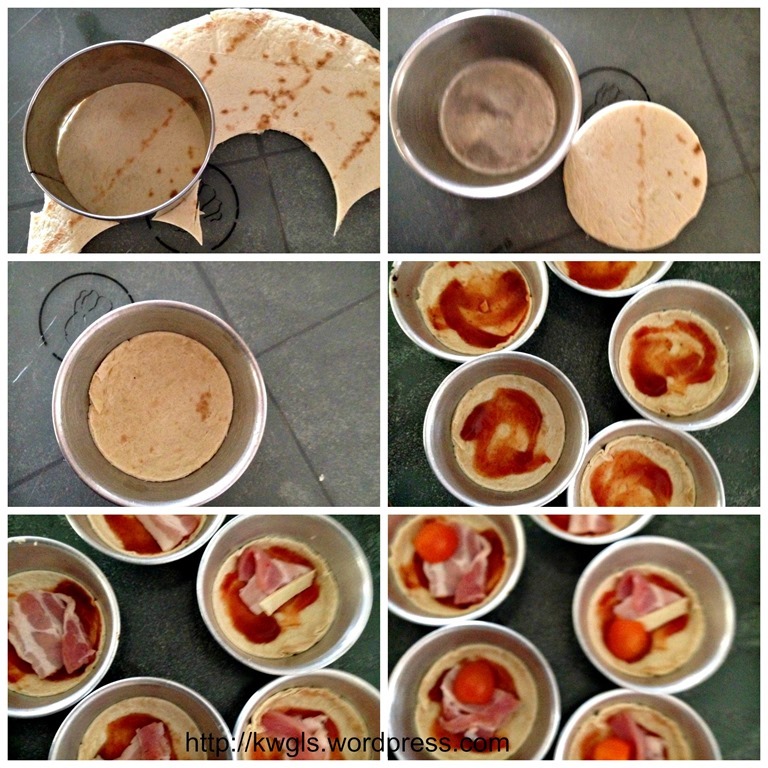 In addition, you can use baking tins of any shape that you have. The recipe is full of flexibilities be in in terms of ingredients used or the quantities.Therefore, just follow some of the simple steps in this recipe and you will come out with some presentable snack that impressed your guest. It is a one bite size snack, be prepared to do a bit more as one is definitely not enough for your guest. No detail measurement will be provided in this post as the dish is full of flexibilities. 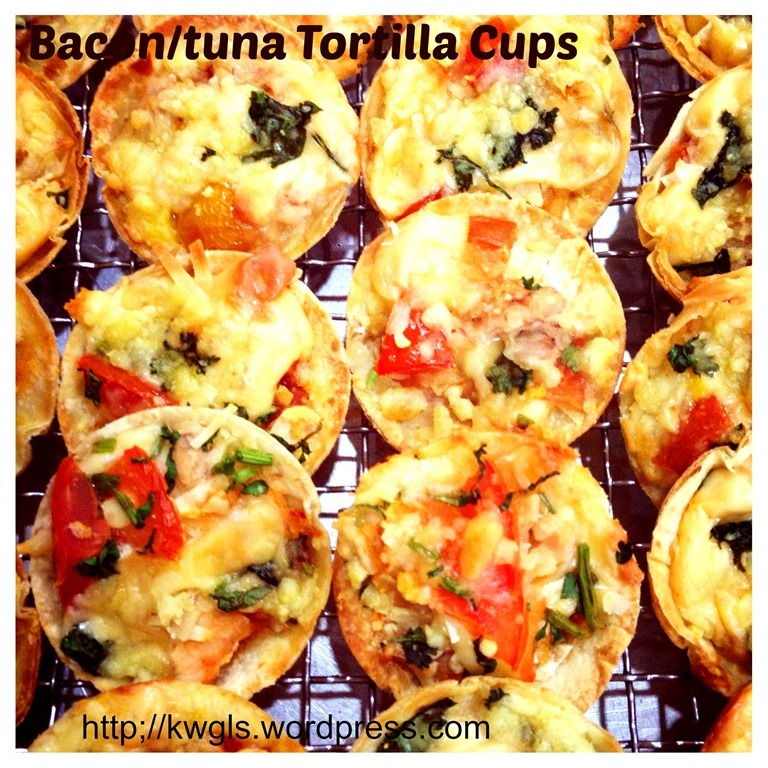 Use the ring cutter (about 1cm bigger than the muffin tin diameter) to cut the tortilla into round shape and press it down either into the tarts tins or muffin tins. Spread the tomato sauce or pasta sauce. 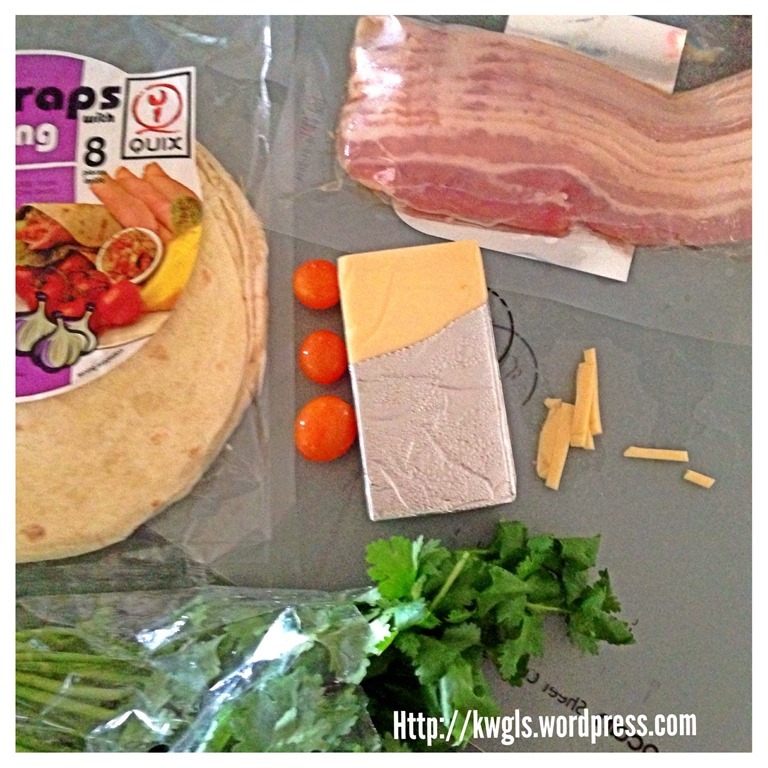 Add in shredded/chopped cheeses, tuna/bacons and tomatoes. Add in more cheeses and chopped herbs and baked in the oven toaster for 3-5 minutes. If using the conventional oven, baked at 160 degree Celsius for about 5 minutes or until all the cheeses have melted. You may want to try baking a cup to get the correct timing as every oven toaster can be different. 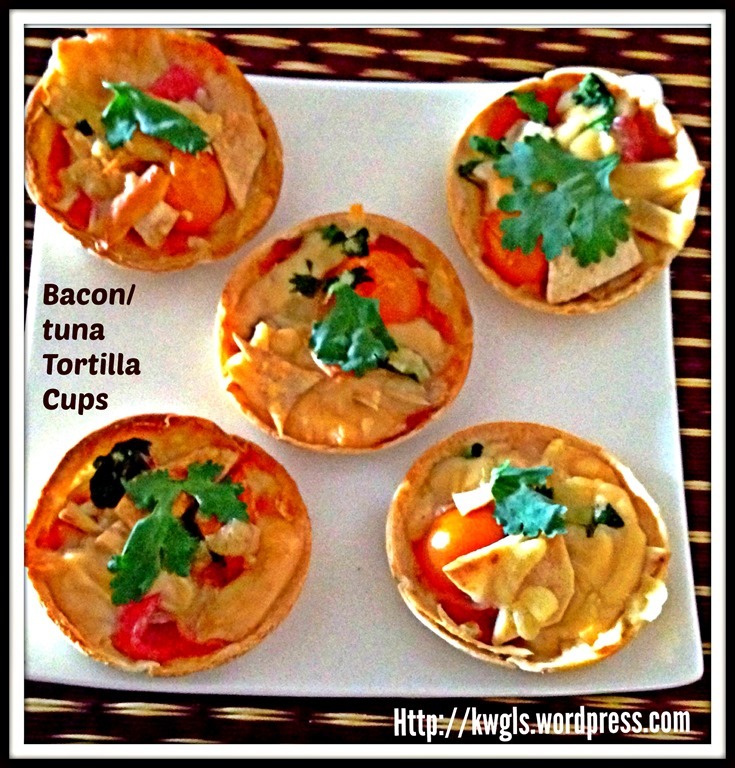 Have some pieces of flour tortilla, spread some tomato sauce followed by your desired filling (i have used canned tuna in this illustration). 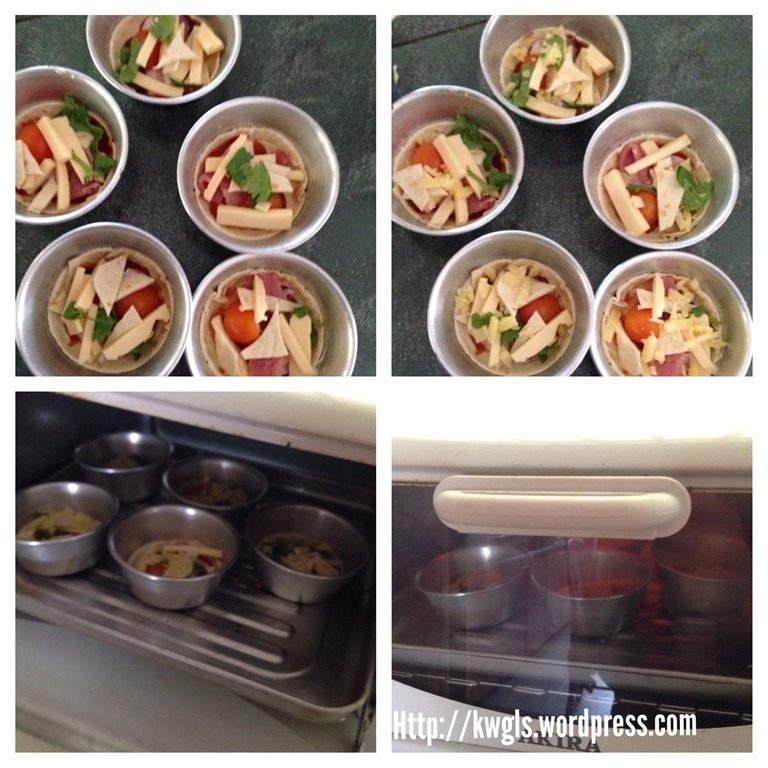 Sprinkle with some chopped tomatoes and grated cheese of your choice (I have used mozzarella cheese). 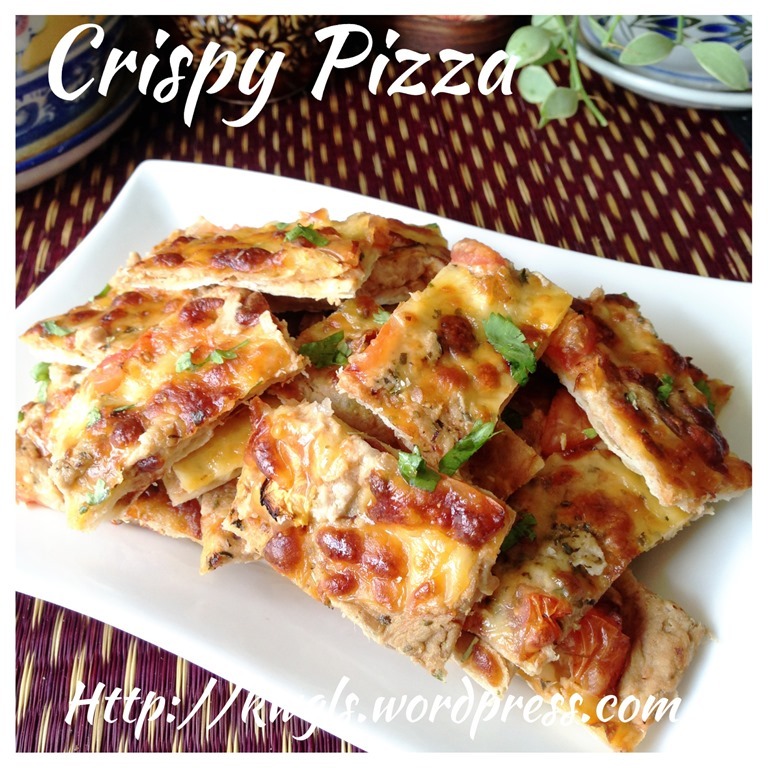 Bake in the pre-heated oven of 160 degree Celsius for about 10 minutes or until your desired crispiness. 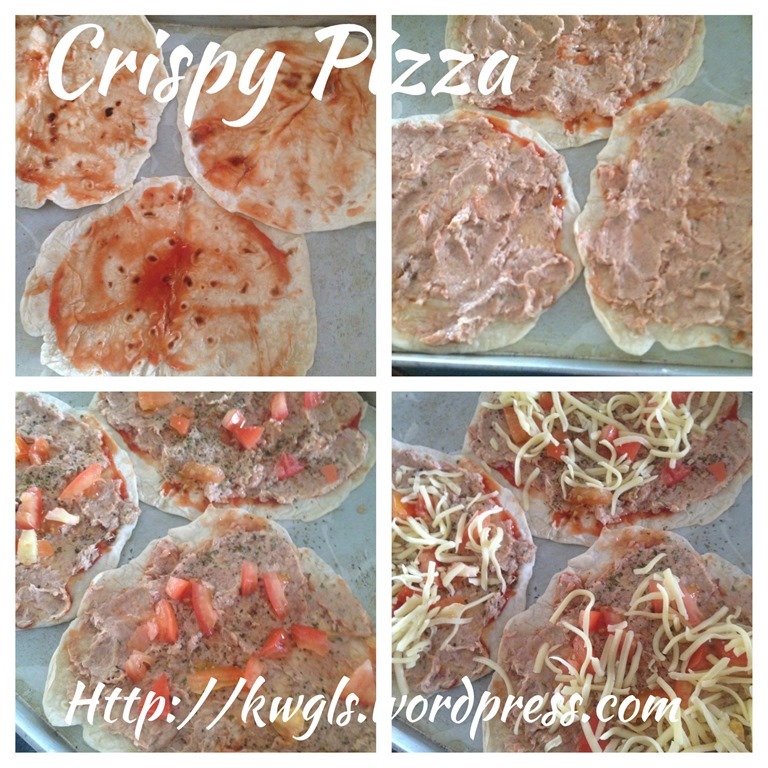 When cooled, cut into your desired sizes using a sharp knife or pizza cutter. An extremely short post. Easy and presentable finger snack. 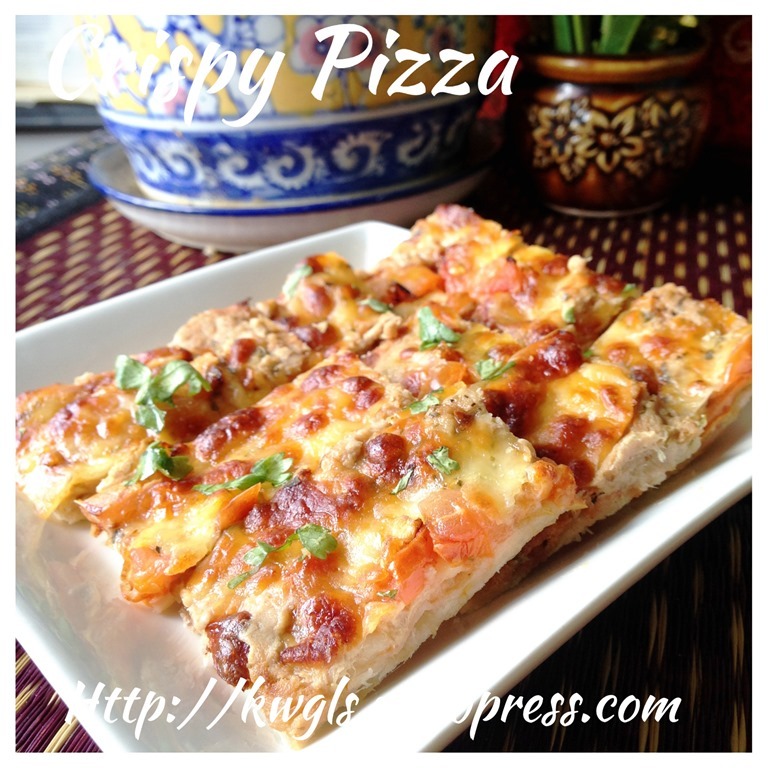 It will be well liked by both kids and adults..Remember do prepare a bit more and if you can’t finish it in the dinner, continue having this as your breakfast…It is worth a try..
Hope you like the post today Cheers and have a nice day. 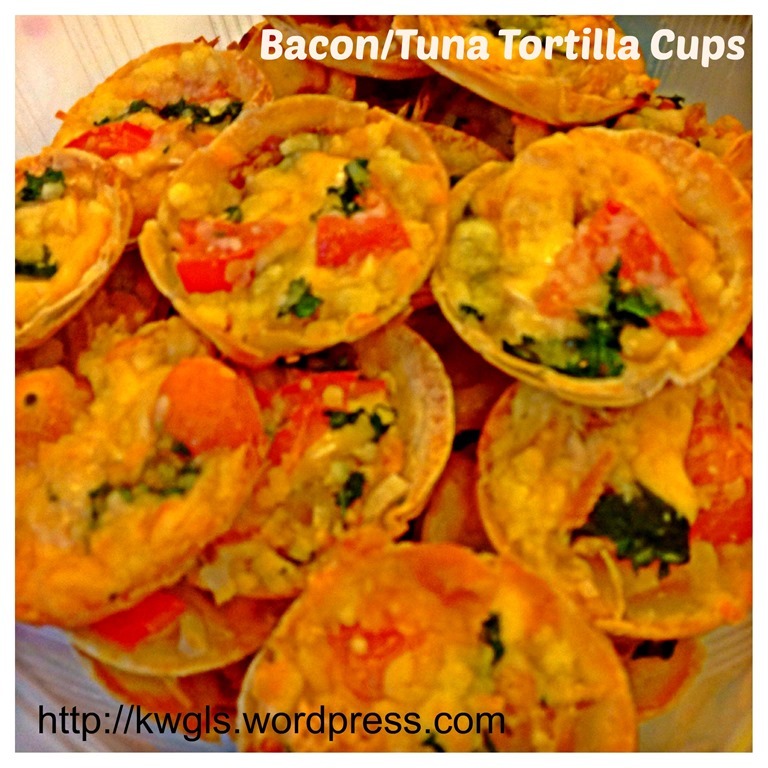 This entry was posted in Food Preparation Series, Party snacks or finger foods, Western Dish and tagged 8, GUAI SHU SHU, Guaishushu, kenneth goh, postaday, tortilla bacon cups, tortilla cups, tortilla tuna cups. Bookmark the permalink. Hi Ken, I love these party snacks. They will be the hit of any party and these are great for game day snacks. 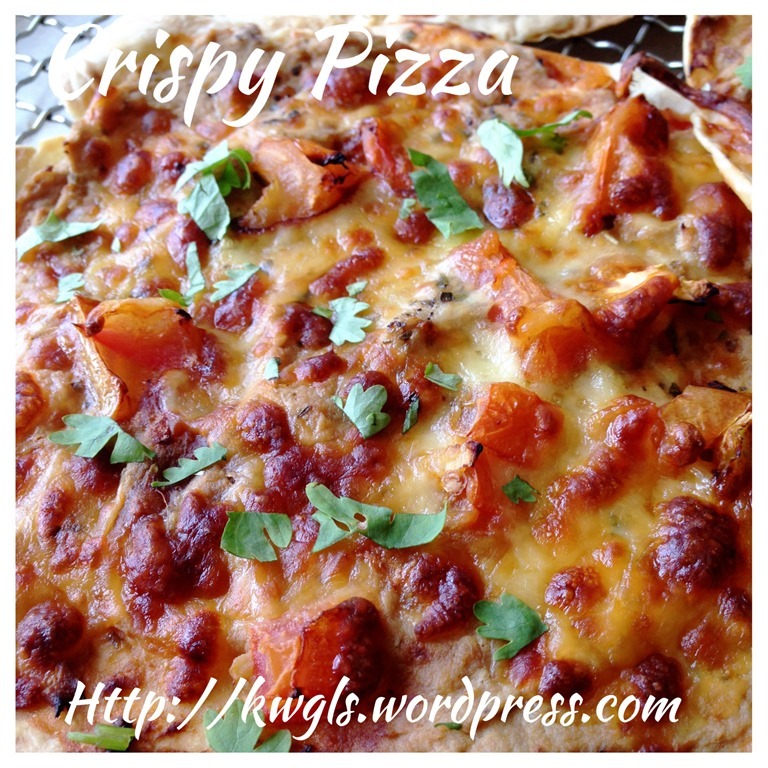 Thanks for sharing this with Foodie Friends Friday Best of 2013 Party this week. I will be sharing this on my FB page later today and pinning this as well. Look forward to seeing you again next week. Pinned! They look great. Perfect for New Year’s Eve. 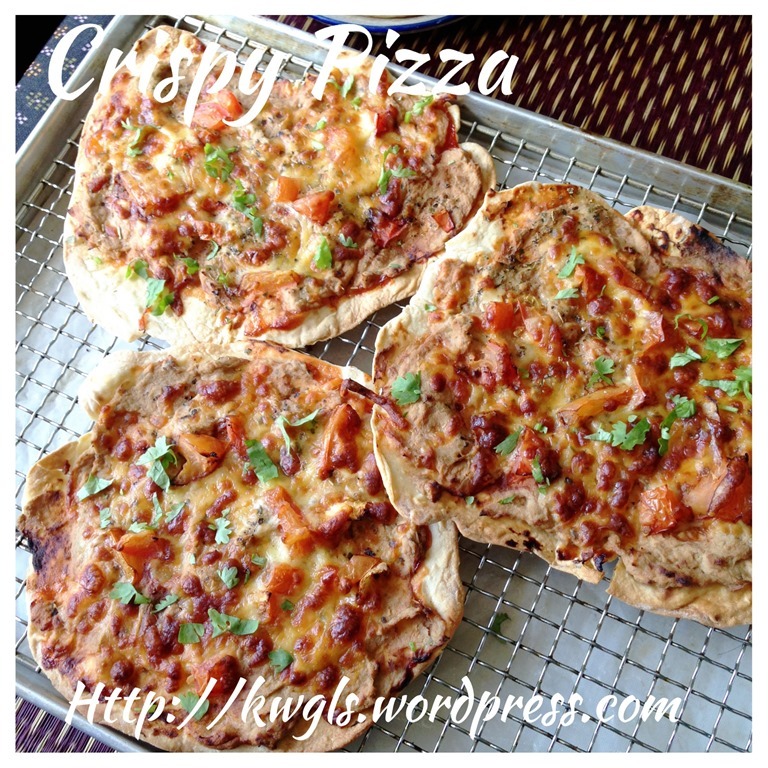 Hi Ken… Just to let you know that I picked these as my host favorite for Foodie Friends Friday Linky Party.. Thanks for sharing. They are featured over at our Daily Dish Magazine and will be on my page on this weeks party. G’day! What an unusual combination Kenneth, true! 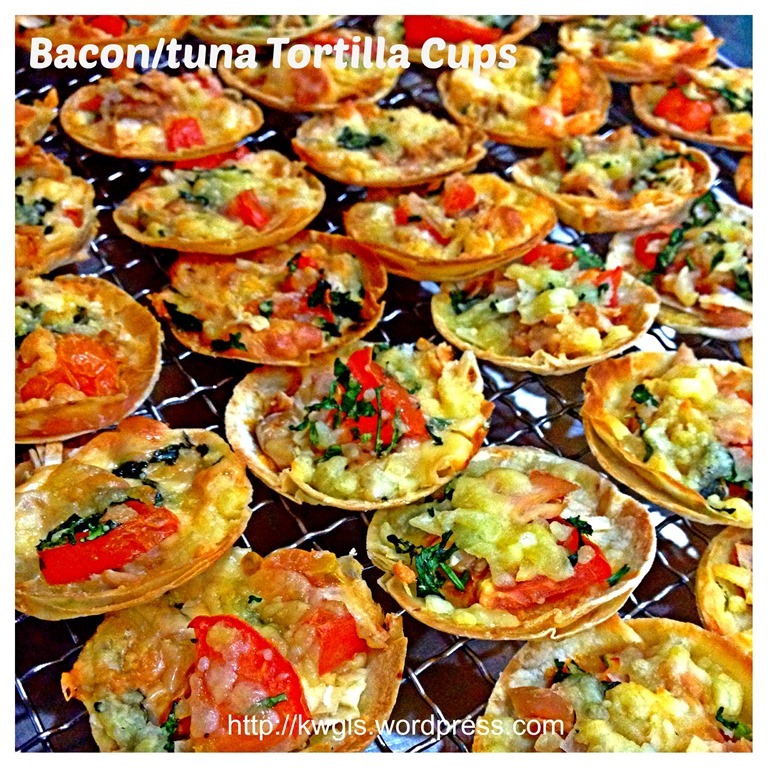 Thanks for sharing as part of Foodie Friends Friday Best of 2013 Party too!